Madison Marketing Group helps clients reach their goals by providing tailored strategic approaches to digital marketing. 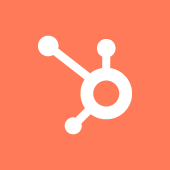 As the leader of the Madison HubSpot User Group for several years, we are committed to providing the same care to our group - helping each event attendee learn, grow, and achieve success while using HubSpot. Attendees of Madison HubSpot User Group events can expect a thorough review of the chosen topic. We'll cover the basic principles and best practices, learn how they apply to HubSpot, and make sure attendees leave with some new tips and tricks they might not have known. With the massive amount of data available within HubSpot (and elsewhere), how do you determine what's important to track and how do you know if your campaigns are successful? Join us to learn about KPIs and reporting.